Kirby Lockwood is a 1-inch enamel pin. 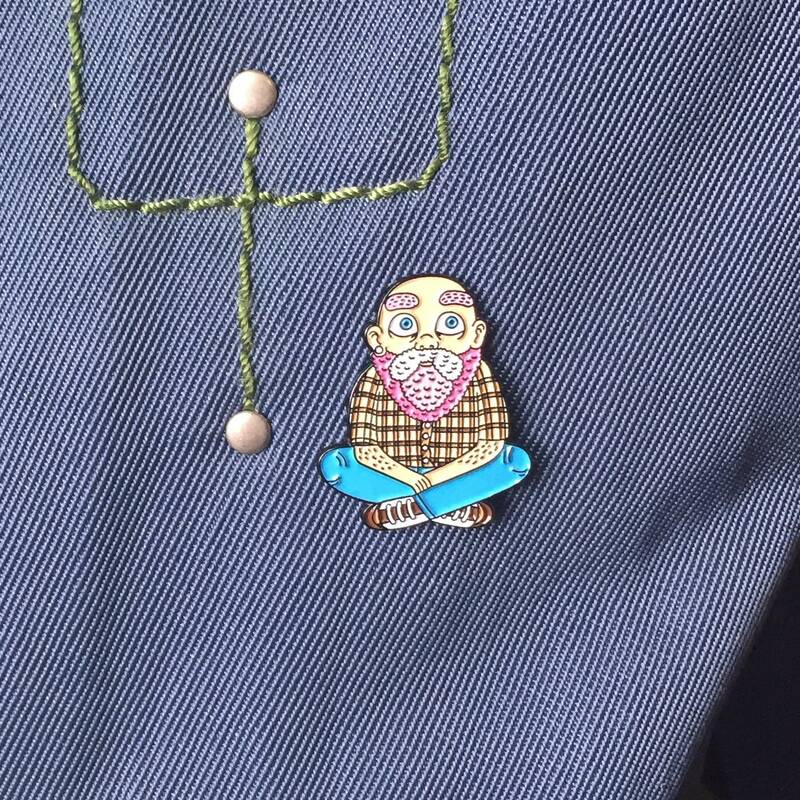 He is wearing a yellow plaid button down, blue jeans, hiking boots and has a pink beard and eyebrows. 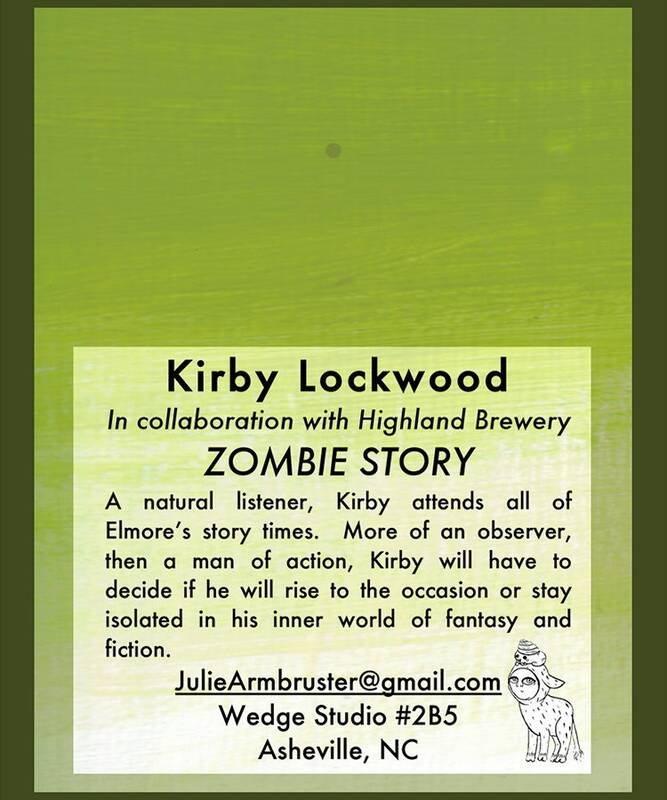 This pin was made in collaboration with Highland Brewery's Community Can Project and this character is featured in their ZOMBIE STORY limited edition beer. A natural listener, Kirby attends all of Elmore’s story times. More of an observer, then a man of action, Kirby will have to decide if he will rise to the occasion or stay isolated in his inner world of fantasy and fiction. 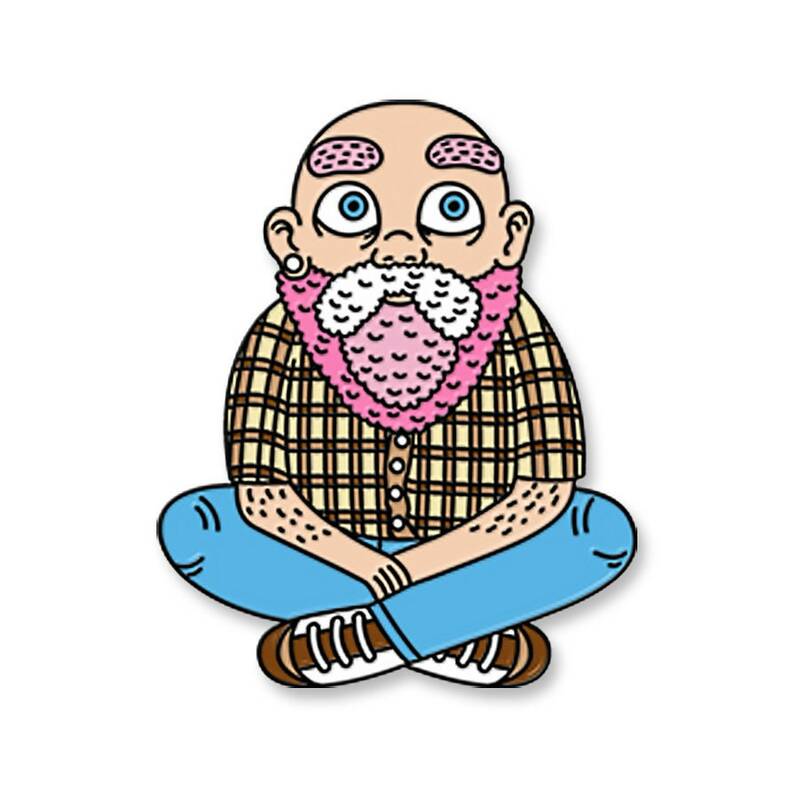 This 1-inch enamel pin comes with a small card with his brief introduction. The pin comes with a rubber back.